I always prefer to do these year end lists in January. One, to make sure that I can be on top of things if, say, D'Angelo drops a surprise album; two, to sit down with some albums that I didn't spend as much time with in the year as I wanted. Since I'm used to doing this as a radio show, this was a slog to get through so most of the writing is more stream of consciousness. Regardless of how I described it, each album has solidified its place on this list. This is a prime example of why I do not write these lists until the end of the year. Truth be told, I only became aware that Motörhead released an album this year due to Lemmy’s untimely passing. Some may accuse me of therefore looking at this work through tinted lenses, but I argue that Bad Magic is a perfect encapsulation of everything that made Motörhead a force of nature in the music world—and unfortunately, the last. There are two main schools of Motörhead song theory: the “Love Me Like A Reptile” distorted, sensual, groove-based rock n roll and the “Iron Fist” speed metal, blitzkrieg, brutality. Bad Magic contains some of the best lessons of Lemmy’s sonic sorcery in the last twenty years. Tracks like “Fire Storm Hotel” smolders with a sinful sensual groove rock while offerings like “Thunder & Lightning” and “Teach Them How To Bleed” break necks with their brutal tempos and drum tracks, razor sharp solos, and that bracing yet embracing growl. “Till The End” indeed Lemmy. It’s about damn time we had a full length LP from one of DC and NYC’s best unknown gems. Taking advantage of his schooling as a jazz guitarist, John Romano injects a harmonic sophistication and sensibility that is transcendent for the typical punk faire. His guitar lines jangle like the Byrds and R.E.M. but with a melodic edge that cuts sharp, swift and deep through the ear canals while his lyrics channel the mumbled, prophetic ramblings of Lou Reed. Bringing up the rhythm section, Joe Romano anchors with a steady bass while drummer Franco slaps the drum heads like he if he does hard enough, it will wake Keith Moon from the grave. Say what you will about this album—and SO MANY people have in the last few months—but I will defend Ryan Adams’ re-imagining of the decade’s biggest pop record as an amazing artistic exercise. What Adams does brilliantly that makes it such a strong collection of covers is completely inhabit the songs, find their peaks and valleys—the emotional points—and crafts his versions to be perfect compliments. He draws out the darkness of “Shake It Off,” deep layers of heartbreak from “All You Had To Do Was Stay,” and the hopeless optimism of “Wildest Dreams,” all through a sound that equally channels Paul Westerberg with Bruce Springsteen. It has the Swift’s approval, and it has mine. Carly Rae Jepsen was not only almost a one-hit wonder, but also almost a completely undiscovered pop star would have wasted away in Canada’s frozen wastes. 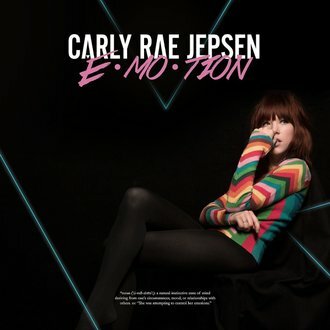 But on the social media explosion around “Call Me Maybe,” Carly Rae secured a small slice of the popular music conscious. With Emotion, she completely captured our attention and our admiration. Where Kiss was filled with forgettable, overproduced numbers like the title and “Guitar String, Wedding Ring” (I still quite haven’t forgiven that title), Emotion stands out as something that sounds definitively “Carly.” And, as one who usually can’t stand 80s synth pop and its derivatives, I find the interplay between Carly and her keyboards to be undeniably delightful. Emotion sounds urgent, engaged, and focused; even a number as potentially throwaway as “Boy Problems” cannot be dismissed as mere pop trash. But the center pieces, “Run Away With Me” and the title track among them, are masterfully constructed sound paintings, where every note contributes to creating a soundscape of impeccable beauty. A lot of people in my musical circles complained that this was such a let down from Gary Clark’s debut Blak and Blu. Why would a man who can burn down the house with such incendiary guitar shredding focus on songwriting and song craft rather that scorching solos? Well, from my take, The Story of Sonny Boy Slim exists in a trio with albums released by Kamasi Washington and Kendrick that both reclaim the roots of their music and encapsulate the history and legacy; what they do for jazz and hip-hop, respectively, Gary Clark does for the blues. And as the root of nearly all music enjoyed in the mainstream, popular conscious , the blues has a lot of influential ground to cover; and he gets to damn near all of it. While opener “Healing” is a prime example of the Gary Clark, fuzzed out blues sound, wothers capture the lineage at more broad moments. Hear the Mississippi Delta, gospel of “Church,” the classic soul “BYOB,” the British Invasion forced “Shake,” or the 80s synth pop of “Down to Ride,” and you realize the widespread reach of the blues, and his multiple talents as a musician. At first, I was not thrilled with Kacey Musgraves new album. I was looking for more “Merry Go Round’s,” more songs that tied back to country’s role of speaking to the plights of country folk. But it’s been a year of strong “therapy” albums, so I eventually came around to love Kacey’s personal frankness and more self-encouraged sound. But turning inward didn’t soften her focus or punching pen; many of her songs leave her first offerings in the dust. Whether silly (“Family Is Family”), self-reflective (“Dime Store Cowgirl”), or serious (“Miserable”), Kacey Musgraves continue to prove herself as not only one of the only country artists who actually has something to say but also one of the best songwriters in Nashville. The bassist for one of the biggest bands in the world not only writes his own songs but also stands as the front man and rhythm guitarist for the band? And makes a ridiculously long album title? It all sounds like a joke, but the first full release by the Foo Fighter Nate Mendel’s band Lieutenant showed his dynamism as a songsmith. Abandoning his previous habitats of post-grunge, melodic, heavy alt rock and “emo,” Mendel leads the group through nine numbers of absolutely gorgeous dream-pop. Channeling the rawer side of early Coldplay, songs like “Belle Epoque” and “The Place You Wanna Go” conjure an understated elation that counters the Foos in-your-face, arena ecstasy well. One of the themes that struck me about the lyrics is that Mendel spends the album searching; maybe for his voice, maybe something else. I’m thrilled to see where else his search takes him. It’s three hours and three discs long, there are over eight musicians/soloists, it touches on covers of Debussy and Charlie Parker, and features a full orchestra and choir. The Epic is unlike any other instrumental—or really any period—music that I’ve ever encountered. Kamasi Washington picks up the plot of the jazz world where many aficionados would say it lost the plot: the mid-60s, when the avant-garde got a bit out of hand and right as fusion was taking over. Washington channels spiritual jazz a la Coltrane and Pharoah, bringing an evocation and emotion through each note, squak, and squeal of his masterfully handled tenor horn. What makes it truly great is that it’s not just three hours of the same-sounding spiritual jazz; there’s 50s’ tiki organ on “Claire De Lune,” visions of furious bebop on “Miss Understanding,” and sweet soul jazz on “The Rhythm Changes.” Washington and the West coast Get Down create an album that diverges, derives, and drives into the emotional core of your being. It certainly did to mine. I really do not know where to begin with this album. This album…it’s almost too plain and ordinary of an epithet for this monumental, masterpiece work of art. I will start with this; I did not choose To Pimp a Butterfly to be my favorite album of the year because I thought it would also be the critics’ recognized favorite (which it is). No, I picked To Pimp a Butterfly because it is the single most visionary, boundary pushing, dynamic, personal, universal, and complete work of musical work that I have heard produced in my lifetime. I have not had as strong a reaction to listening to an album since I first heard Dark Side of the Moon—the work I consider to be the pinnacle of popular, recorded music—as I did when first listening through TPAB. Over eighty minutes Kendrick creates an album that is unified thematically, musically, and lyrically yet one where each track stands out with its own distinct personality and sonic landscape. There’s the funk-rock of “King Kunta,” the back country soul, g-funk of “You Ain’t Gotta Lie,” the free jazz of “For Free?,” the dance hall bombast of “The Blacker The Berry,” and so much more. Kendrick did nothing short of connecting and interweaving the history of African-American popular music through the fabric of each track of TPAB. High ambition paid off with reward of incalculable heights. And like Dark Side, Kendrick uses the recording process to his advantage; he doesn’t just record “music” but uses the technology to include the full spectrum of audio potentials into his artwork. Hearing the sound of him crying into a bottle on “u” was among the most powerful moments I’ve had in listening life. Then there’s the poem, the main narrative thread, where Kendrick reminds us that hip-hop, and music, at its origin and its best, truly functions when it speaks to the world and connects the individual to the whole. There’s a German word gesamtkunstwerk that means something is a complete work of art: every single part of the work, even the most ignorable bit, contributes to and is informed by every other. The work cannot exist without every single part, and it is this kind of work that represents the highest achievement in the form. This is To Pimp a Butterfly. Not only do I think it is the most complete work of art of the year, and the decade, but I also thing that To Pimp a Butterfly is the single greatest artistic statement of the 21st Century. An album like To Pimp a Butterfly comes around only once in a lifetime; I am so grateful for it to have arrived during mine.